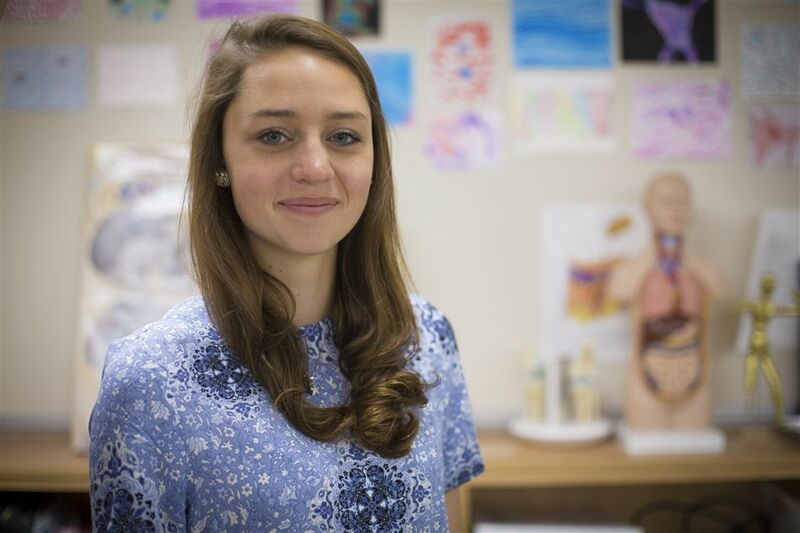 She is now pursuing a career in medicine, sparked by a freshman year honors biology class at Hun and her fascination with emergency care. Grade Level Dean and Science Department faculty member Vivian Piel was not surprised when Erica enrolled in both Advanced Placement Biology and Human Anatomy and Physiology [HAP] during her senior year, or when she focused her senior Capstone Experience on learning more about becoming a cardiologist. “Erica showed an enthusiasm for our heart unit, particularly during dissections and a video conference, Live from the Heart, with Advocate Christ Medical Center during a live open-heart surgery,” said Ms. Piel who advised Erica’s project and instructed her in HAP. The live surgical procedure proved to be a critical moment for Erica. Going into it, she had reservations about how she might respond to the graphic nature of the experience. However, after attending, her confidence grew. To further explore her interest, Erica worked with Medicor Cardiology in Hillsborough, New Jersey and Bridgewater, New Jersey during a two-week long Capstone Experience. There, she worked alongside cardiologists, was invited into examination rooms, and with permission from patients, was able to review patient files to understand how the doctors prescribed treatments. Erica is a student at Bryn Mawr College, where she is enrolled in their STEM program. She intends to focus her undergraduate course work in the sciences, in preparation for medical school and eventually a cardiology or surgical residency. Erica Dwyer '15 is a student at Bryn Mawr College, where she is enrolled in their STEM program.